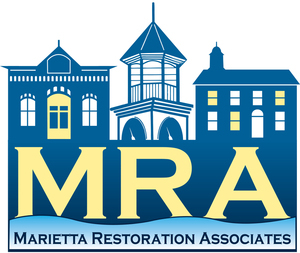 Springtime in Marietta is one of the best times of the year for bird watching. We have front row seats for a great migration along our waters. Thousands of neat birds travel along the river corridor through this area in spring. You can practically find new birds around each day, some rare and quite interesting! Also during the spring, activity of local year-round birds picks up. Nest building, courtship, and a fresh, active food supply makes sightings a lot easier. 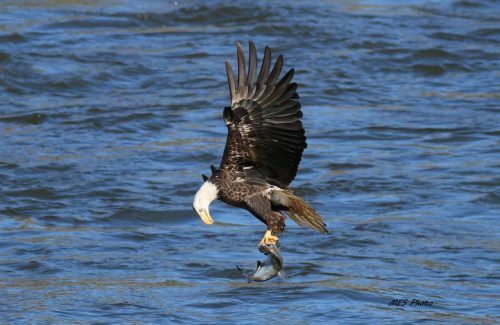 Here are a few of his wonderful photos capturing our favorite birds in action. Great Blue Heron catching an angry snake. 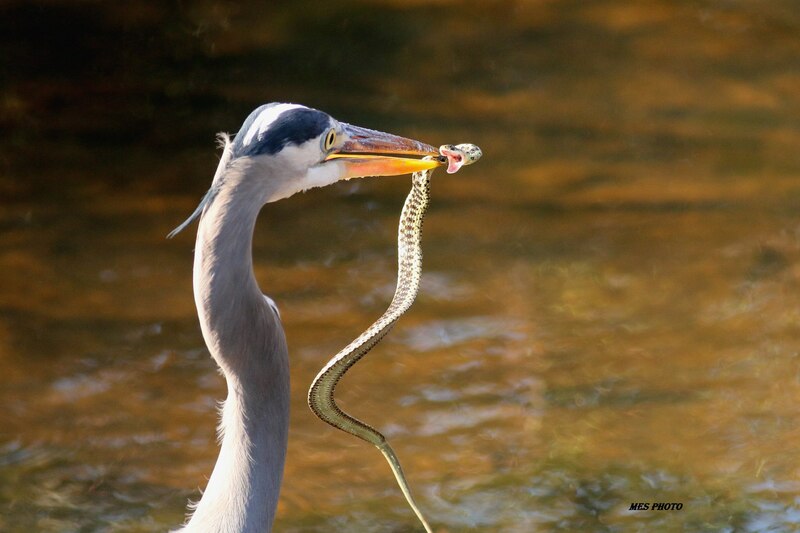 Blue Heron’s favorite food is small fish, but he also eat snakes, amphibians, insects, and small rodents. They spend most of their waking life stalking food. Great Blue Herons can be seen fishing in the shallow waters of the river all along Marietta. 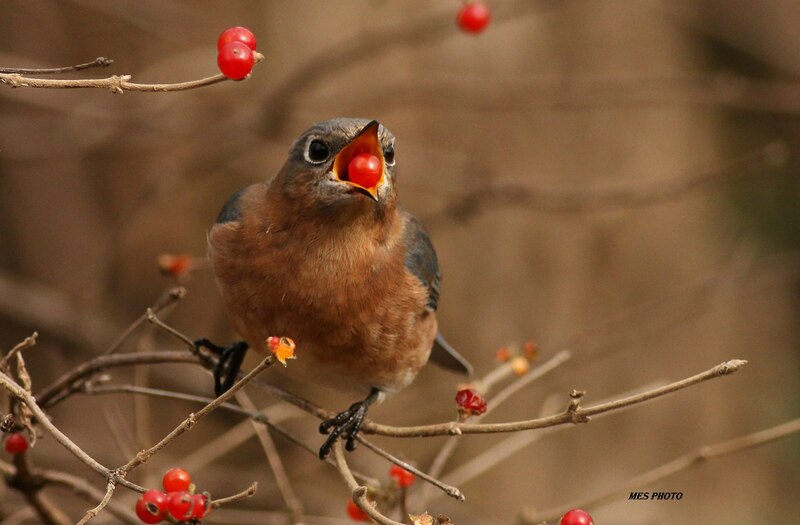 Eastern Bluebird eating a ripe berry. While their main food is insects, they also eat berries and seeds, especially in winter. Bluebirds can be seen at bird boxes in Riverfront Park. They have deep blue wings with a rusty orange throat and breast. A Bald Eagle with its talons in a fresh catch. Bald eagles now nest along The Lancaster County Northwest River Trail. 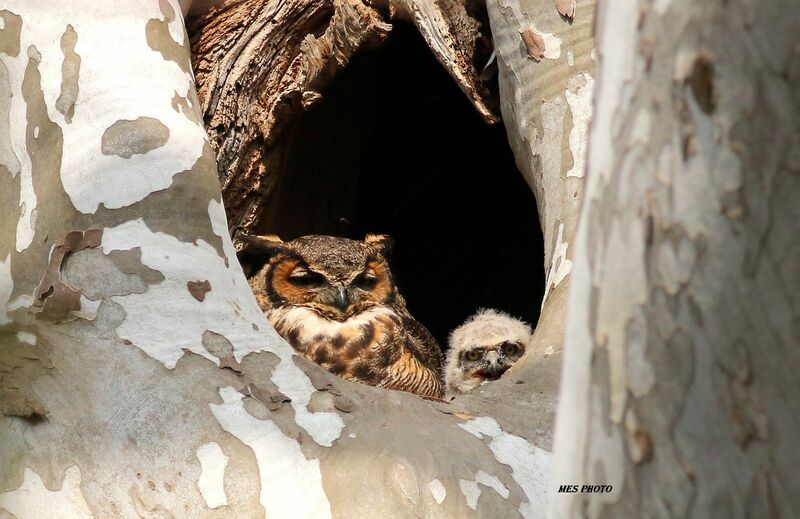 They lay their eggs in February and the babies could fledge around mid-June. Favorite food is fish, but they also eat snakes, frogs, squirrels, other small mammals and other birds. A rare find, but a beautiful sight: the adult male Hooded Merganser. 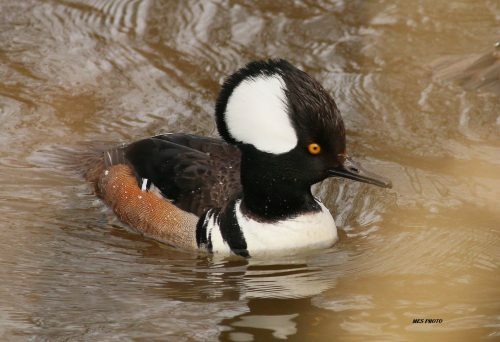 Mergansers are small diving ducks that search for food underwater. They are our only duck that specializes in eating fish. Great Horned Owl in its nest. Eats mostly small mammals but also birds, fish, and reptiles. They hunt mostly at night, but maybe if you’re lucky, you can see them in a nest in a tree. If you’d like to learn more about bird watching in this area, the Lancaster County Bird Club is an excellent resource. 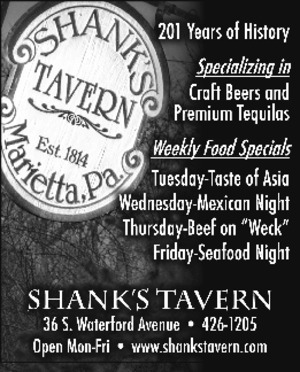 They have a couple of events in our area this spring. They will even supply binoculars if you need them! April 7th: Beginner Birders field trip for people that would like to experience birding for the first time. Highlighting spring migration and scoping the river. Meet at the Riverfront Park pavilion at 9 a.m. To access the park, go north on Rt. 441, turn left onto Vinegar Ferry Road, proceed under the railroad bridge and around the park to the pavilion. Contact Roger Stoner (717) 393-9030 if you have questions or plan to attend. May 12th: The Warbler Walk, also highlighting spring migration. Meet at Chickies Rock County Park, Breezy View Overlook at 7 a.m.